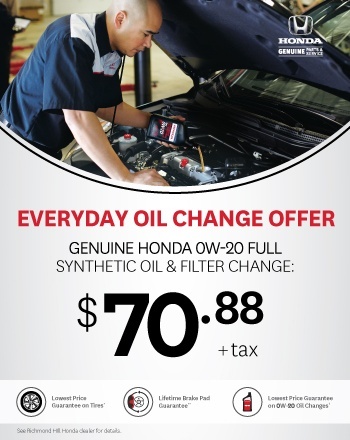 Take advantage from our everyday low price of $70.88 oil & filter change. Includes Genuine Honda 0W-20 Full Synthetic Oil and Filter. Disposal fee of $2.75 and taxes extra.